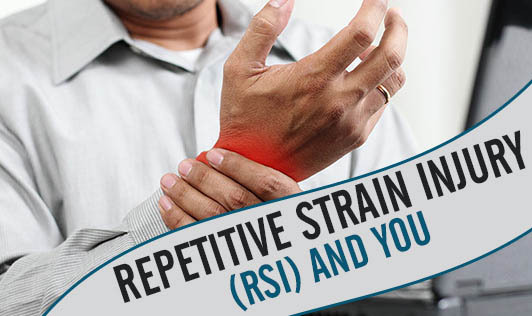 If you do not take corrective steps when you develop RSI, it could lead to behavioral changes, and also cause severe psychological burden due to your perceived inability to perform day to day tasks. You may become less productive at work and less harmonious with family and friends. RSI may take months or years to notice and even longer to heal. The seriousness of RSI has made many organizations and individuals worldwide view it as a physical disability. You don't really need to suffer from RSI if you can manage your lifestyle and ergonomics. Take breaks while using the computer. Get up from your workstation for a 2 minute walk at least once in 45 minutes. If you are struggling to maintain correct posture, take a break. Exercise regularly. Don't ignore your stretches. Yoga is a great way to exercise. Avoid the temptation to use your blackberry or phones to send emails when you have access to computers. Don't email people when you can walk down the hall to speak to them.